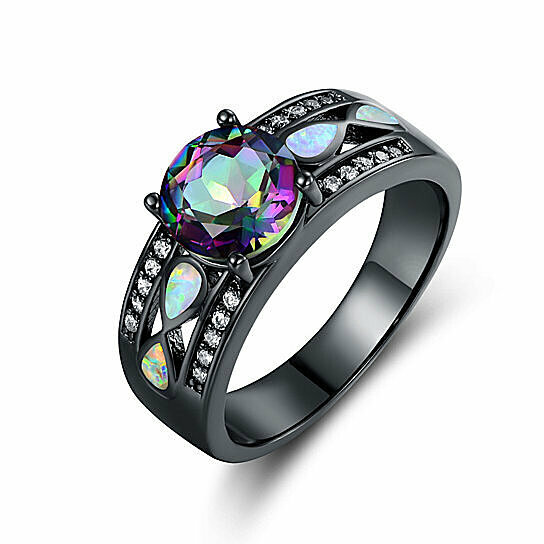 Lab created fire opals and 3 carats mystic topaz. The ring is surrounded by sparkling natural white sapphires. Thrive on emotional freedom, positivity, joy, and confidence. Opal stone is thought by some to empower and drive you, as well as giving you peace and even a touch of luck!